This is the time of year where every trip to the Greenmarket results in bringing home at least one butternut squash. I love butternut squash but hate the effort it requires. Peeling, cutting, roasting… A few months ago I made a Roasted Apple & Butternut Squash salad for a dinner party. Yeah, forgot how much of a pain peeling squash is. So for the most part I stick to butternut squash puree. My secret is NO PEELING and minimal effort. Think about it. If you want to make butternut squash, all you need is puree. Why spend time peeling and cubing when you can just roast the whole thing and puree it all. In the end, no one will even notice the difference between cubed or whole roasted. 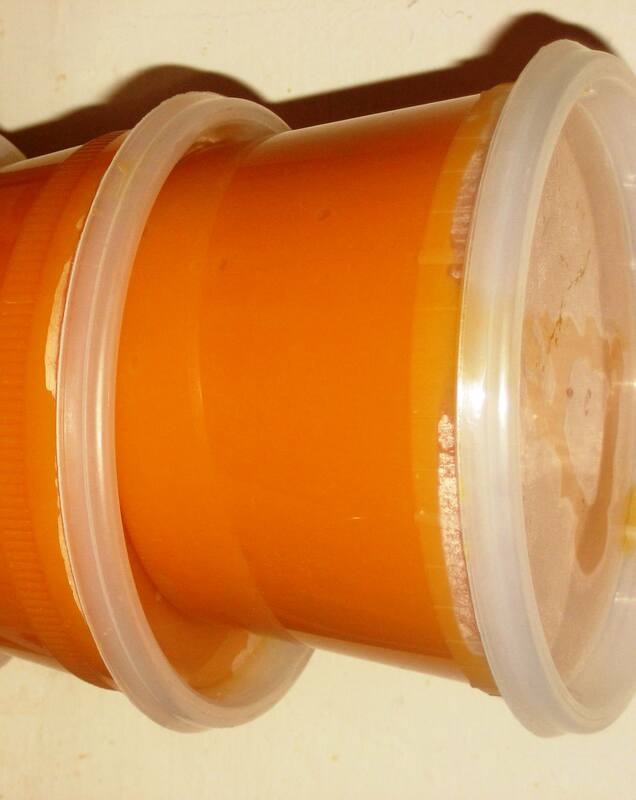 I roast squash all fall, puree and freeze it in 2 cup containers, so I’m set throughout the winter. I’m left with fresh, local squash for soups, risottos or other recipes. 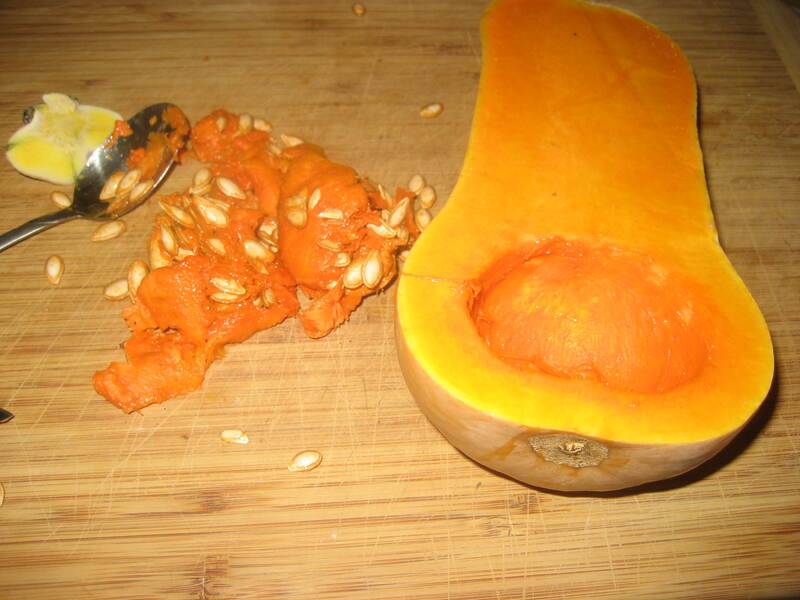 STEP 1: Cut squash in half and scoop out seeds. Meanwhile preheat oven to 400°F. Fill medium pot or tea kettle with water and bring to a boil. 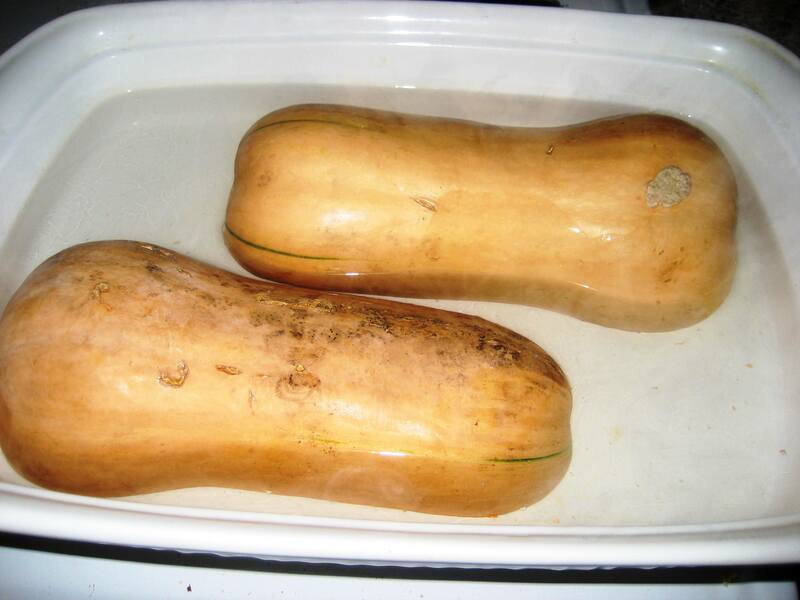 STEP 2: Place squash flesh side down in a baking dish and fill with a little less than 1 inch of water. Roast in oven for approximately 50-60 minutes. 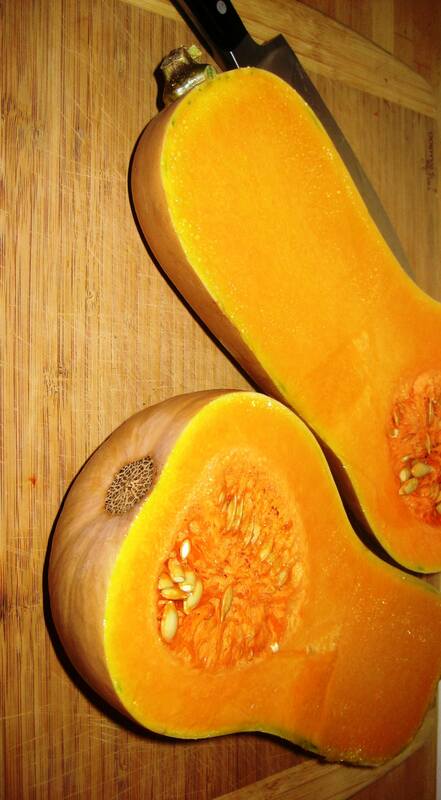 Squash is done when you can easily press down on the skin and it indents. 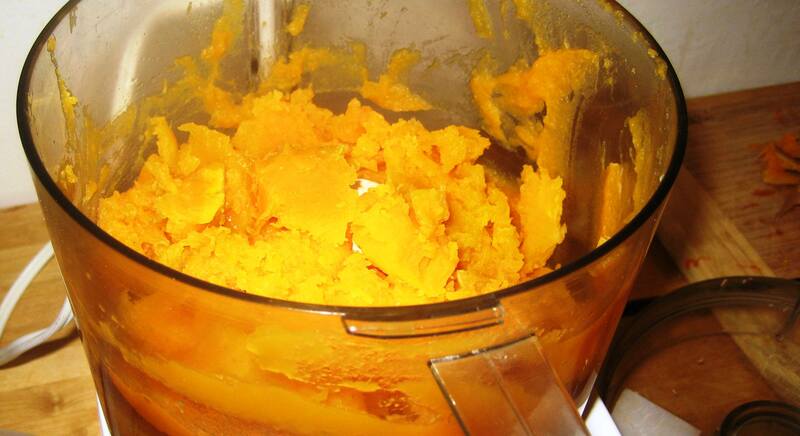 STEP 3: Once squash is cool to touch, scoop out flesh and puree until smooth in food processor. STEP 4: Spoon into freezer safe containers (Chinese food containers!) and freeze for another day. I find freezing in two cut quantities is perfect for most recipes I use.